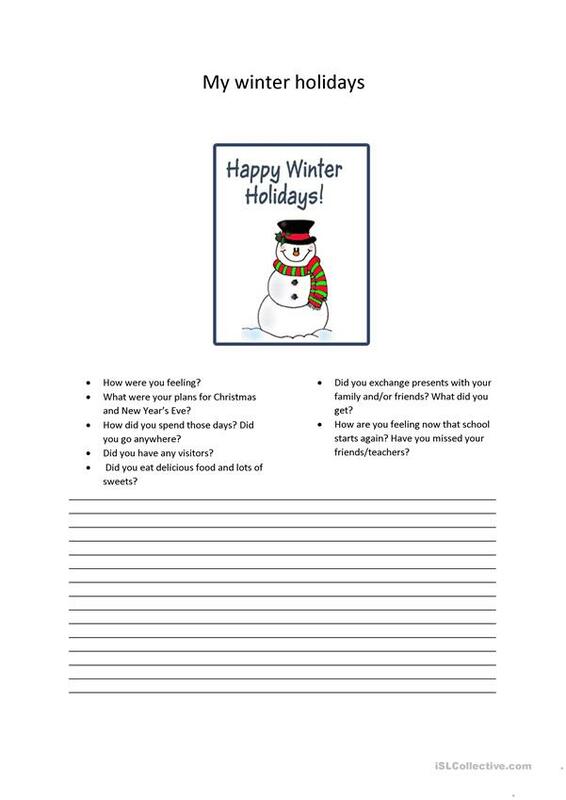 Get your students to write how they spent their winter holidays! This downloadable teaching material is intended for high school students and elementary school students at Elementary (A1) and Pre-intermediate (A2) level. It is a useful material for revising Adjectives to describe feelings / mood / tone, Past simple tense and Past simple & continuous tense in English, and is excellent for improving your groups' Writing skills. It features the vocabulary topic of Holidays.